A 'Jumanji' Remake May Come To Theaters, Featuring Kevin Hart And Dwayne Johnson - Ooooooo La La! 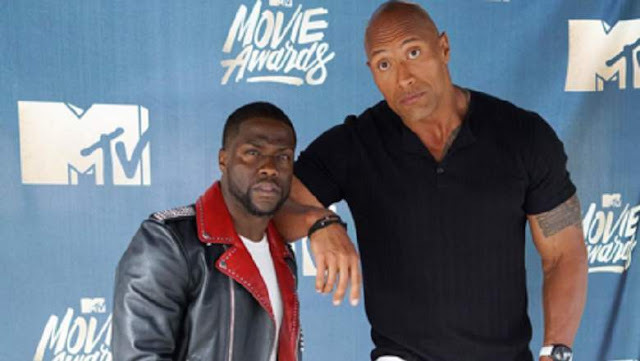 Central Intelligence co-stars Kevin Hart and Dwayne Johnson are reportedly eyeing a remake of Jumanji. The two stars, who just hosted the MTV Movie Awards together, are in early talks to star in a reboot of the Robin Williams classic, according to Variety. Schedules are still being worked out, as both actors have heavy production loads ahead, but insiders tell Variety that things are moving toward a deal.